What is the WordPress Sitemap URL? The larger your WordPress website is, the more important it becomes for you to create a sitemap and submit it to Google. With a complete sitemap you can accelerate the indexing of your pages in the major search engines. You can find further information on how exactly this works and what advantages it brings for you here. WordPress itself does not offer the possibility to create a sitemap of your website, so you will not be able to access your sitemap URL without additional tools. For the creation of a sitemap, the use of plugins is therefore unavoidable with WordPress. With the help of our WordPress plugin BAVOKO SEO Tools we provide you with various powerful tools with which you can create a complete sitemap of your website in no time and with only a few mouse clicks and then submit it directly to Google. Even if WordPress does not provide a native way to create a sitemap, there is a simple and free alternative for you: BAVOKO SEO Tools. Under the tab “Sitemaps” in the SEO Tools section of our WordPress Plugin you can start creating your WordPress Sitemap. Check the box “Activate Sitemaps” and select which of the post types of your website should be included in the sitemap. Confirm your selection by clicking on “Update Sitemap Settings”. 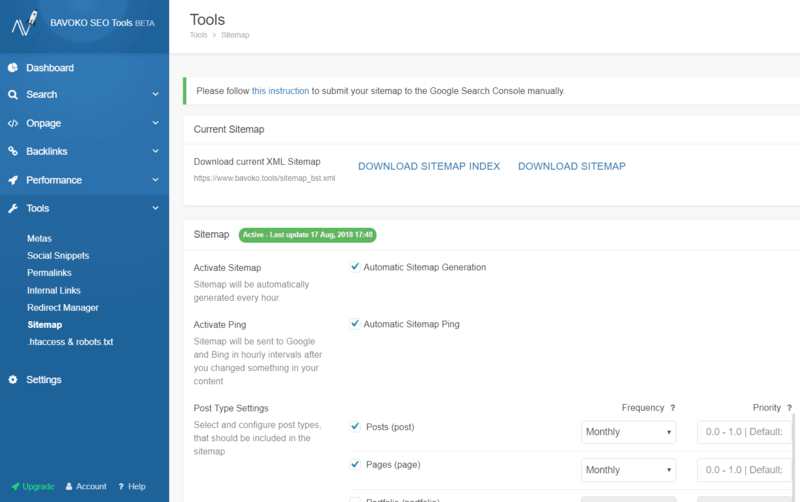 Your WordPress Sitemap will then be stored directly at the Sitemap URL. 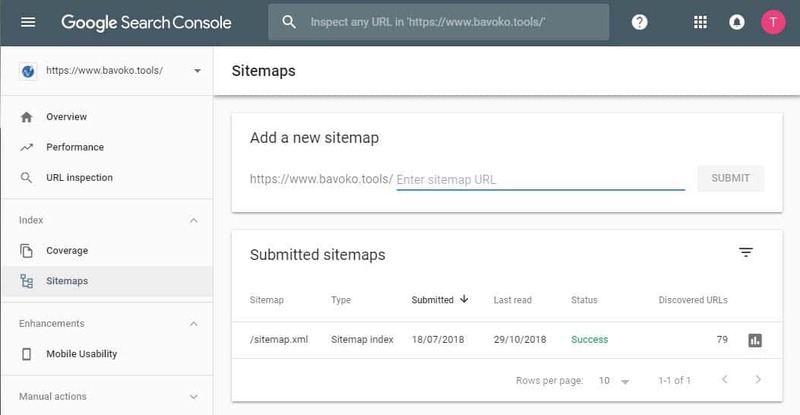 In addition to the possibility to create sitemaps with BAVOKO SEO Tools and to have Google automatically informed about changes to your pages, you should still store your WordPress Sitemap URL directly in the Google Search Console. Here you have access to further settings, as well as a simple possibility to administer your WordPress Sitemap and to check it for errors. A step-by-step guide on how to submit your WordPress Sitemap URL to the Google Search Console can be found here.